Today Mom and I went downtown (after Saturday School) to the Zodiac Tea Room on the 6th floor of Neiman Marcus. I have wanted to try it out for awhile, it's been around forever. I was reading a Dallas Magazine a week or so ago and I read about their popovers, and I scheduled a lunch! They started the meal with complimentary chicken broth, and a cheese bite, and then this enormous, steaming, puffed popover with individual, chilled bowls of raspberry butter. Yum! It was even bigger in person, and I snuck a picture on my iphone. It was a really beautiful restarauant, and a fun experience. I'm glad I went! Lunch with Mom is always fun. You will probably see a bigger and more jazzed up version of this exact same Diaper Cake in a month or so for a shower I'm hosting (Surprise-the theme is going to be 'monkeys' on behalf of my pal who has always loved monkeys). Anyway, I threw this little cake together for a friend at work attending a shower this weekend (people know I love to use their money to go shop and get to try out crafts), the monkey is a little big for this little cake, but he's going anyway. The shower this work pal is attending has a safari theme, but I just chose one animal to focus on for her gift, she'll be fine with it. Jodi, I'm so in love with how easy these 'cakes' are to 'bake.' Thanks again for sharing. I had to show you....the trials didn't stop with the last one. I look forward to putting together a suped up Monkey Diaper Cake soon. Mix the dry cake mix and pumpkin, place about a tablespoon in each mini-muffin well. Nope....I haven't converted to Catholosism, but I started my own form of fasting during Lent back in college. Easter is overlooked far too often in the commercial world, and I don't want it to be forgotten in my life...ever! Easter is a big deal! This six week 'fast' reminds me each time I 'deny' what I think I want-I need to refocus on what I truly need. If only it didn't take Lent to bring this about! This year I chose a true addiction-something I consume even more than bread (it's purely calories that prevents equal bread consumtion in my life)---->Diet Coke (and other sodas). I could walk around with an iv drip of Diet Coke and still want more. I've been in a pretty serious relationship with Diet Coke since high school. It's really hard for me to break up and see how we are going to do without each other. I had a slight moment of insanity where I tried to rationalize this not being a good decision, I mean-how stable is the economy right now? What if I am the cause of Coke going bankrupt? 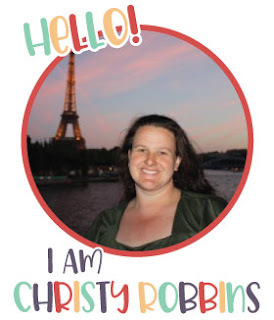 Breath in, breath out, focus on your happy place, Christy....you are now at Mrs. Baird's Bread Factory-a new batch of loaves is just leaving the oven....I have a feeling this is not the last you will hear about this! OK....starting today-cold turkey-no more Diet Coke until Easter. A headache is coming on just thinking about it. OK, I saw this on Heidi’s blog, and I had to try it out. The mission is to type in your name, and attach the word ‘need’ then Google the phrase, next report on the top 10 answers. I currently have 23,900,000 ‘needs’ according to the Google search engine (if you only knew), but here are the first ten of my needs the site reported! That’s funny, did you write this, Marie? I could have an IV drip of ‘Pop’ and still want another one…I’m addicted to soda! Sounds interesting, I’ll take two! I’m pretty fine with the one I have, new computer means new technology, and new technology means….well, refer to number 2! I didn’t know I needed to know this…..I’m off to locate my inventory now! I'm a girl that loves her carbs, I consider myself a good judge of pasta salads ;o). I had this pasta salad a month ago at a luncheon, and the gal who made it was sweet enough to share the recipe....it was soooo delicious. It just takes a box of cooked bow tie pasta, a small can of drained, sliced olives, about 8 cherry tomatoes (more if you like them), a small handful each of equal amounts chopped spinach, cilantro, and parsley, a medium onion, chopped, one container of feta cheese, and a few tablespoons of light balsalmic vinegar dressing. Chill, and then pour more dressing over the salad right before it is served. It's YUMMY, and easy to make. It was a big hit amongst us gals. ...or 7 to 5, Monday-Saturday whatever. That's what's been keeping me busy, and out of the world of blogging more frequently (Marie :O)). I have two more weekends of Saturday School, then the first round of state test are given, and we won't start up on Saturdays again until after Spring Break (two weeks off :O)). Many people make comments about teacher's 'summers', but I'm publically giving us some credit here for the six day weeks we put in during the 'school year.' My house is a mess, I think half of my friends have forgotten my name, but I see a light at the end of the tunnel, or at least a man hole lid labeled spring break where I'll see some light before heading down the next testing tunnel! Someone told me about these hot dogs a few weeks ago, I was completely skeptical about how 'good' they really were. I mean....sometimes people who are determined to eat light, are also determined the food they are eating actually taste good. Trust me, your bowl of cauliflower ain't that great. BUT, this...this is a good thing! There are two different 50 calorie hot dogs on the market now, this one was more expensive, but it was worth every dime (or dollar). I got 7 for about $4.50. 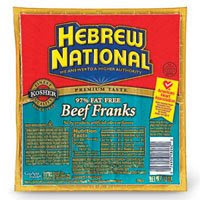 They are Hebrew National's 97% fat free hot dogs. I'm not really interested in knowing what the other 97% of this product is if it's not fat, so feel free to keep any speculation on that matter off my comment section ;o), BUT I would highly recommend these. I grilled mine on the good ol' George Foreman, and I'd say they are pretty much my favorite hot dog (minus the ones I get at the ballpark). And below, this is the Inn we stayed at this weekend in Van Alystyne-the quilt store was attached to the Inn, so we were able to shop and sew (this can be a good, or a bad thing, depending on your self-control, and checkbook balance). The Mother-In-Law was a part of this retreat, so we had the luxory of standing in the store at 12:30 AM shopping in our PJS...such a fun experience each night. I loved the big porches (upstairs, and down). There is a big room for the work tables, a kitchen, bathrooms, and bedrooms. This is one of many bedrooms, there are some with larger beds, but for the most part each quilter got to select a room, and a quilt to sleep under. 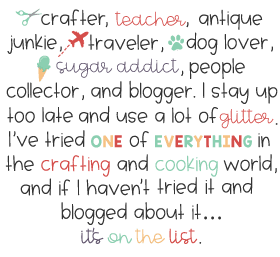 I sewed until 3 am Friday, woke up on Saturday at 8 am, and quilted ALL day, minus quick food stops, and one walk through the town. Most of the stores were closed by the time we started walking about, but I always love walking through cute little towns. We did eat at the Durning B and B on Friday night, and it was good. On to what I did....this is from fabric I bought last July "Flutterby"...I posted the fabric pile at the time, but now....I've ironed, cut, sewed, ironed, sewed, ironed, cut, sewed, ironed, sewed, ironed, cut, sewed, ironed....the pattern is called '9 Easy Pieces' (each block has nine different sized pieces sewn together, then each of those blocks were sewed to another block until I had a row, which I then attached to a row etc etc etc).....and it should fit a queen size bed. The next step is to take this top piece, and the bottom piece (not picture, but shades of blue) to a quilter.....and then when I get it back, I sew on the binding, at that point you can stick a fork in me because I'll be done...with this quilt. "My Quilt"
What's next? There is a really classy lady who has been quilting longer than I've been breathing (and then some), and she brought all her 'scraps' and taught us how to make this 'scrap' quilt. I loved it because all the pieces are a part of her past quilts. This is her sample quilt.